You must make reservations at least 5 minutes in advance of the time at DaiLo. Public parking lot behind us and plenty of parking on Palmerston and College. At DaiLo, we believe eating well is a fundamental part of living well, and how we cook, reflects how we live. Thoughtful and high quality ingredients lead to better lives and more delicious meals. Our New Asian Cuisine is predominantly Chinese fare but it follows the French tradition. At DaiLo, we believe eating well is a fundamental part of living well, and how we cook, reflects how we live. Thoughtful and high quality ingredients lead to better lives and more delicious meals. Our New Asian Cuisine is predominantly Chinese fare but it follows the French tradition. 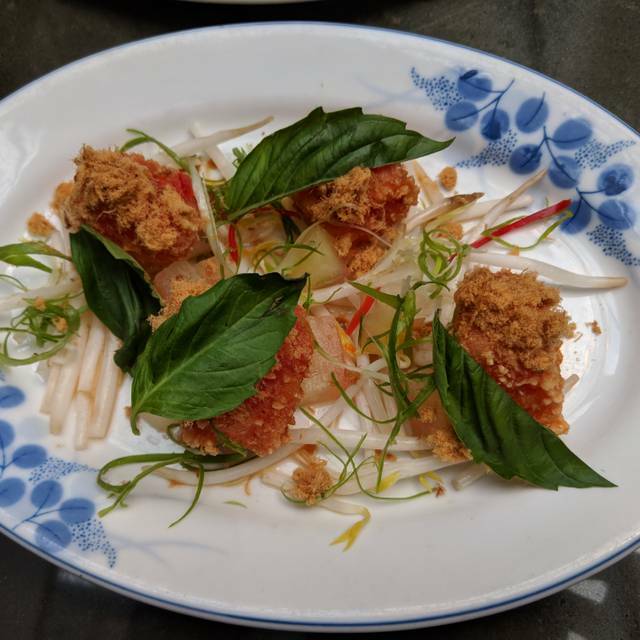 At the heart of the menu is a love and respect for the dishes Chef Nick Liu ate growing up as the son of Hakka parents in Canada, but importantly, they are the dishes his ancestors have been eating for hundreds of years. Ancient favourites are augmented by Liu’s signature flair and updated to suit the western palate and the modern demand for local and sustainable ingredients. Food quality doesn’t live up to expectations. Service was mediocre at best. We didn’t like most of the dishes and voiced our disappointment to them. 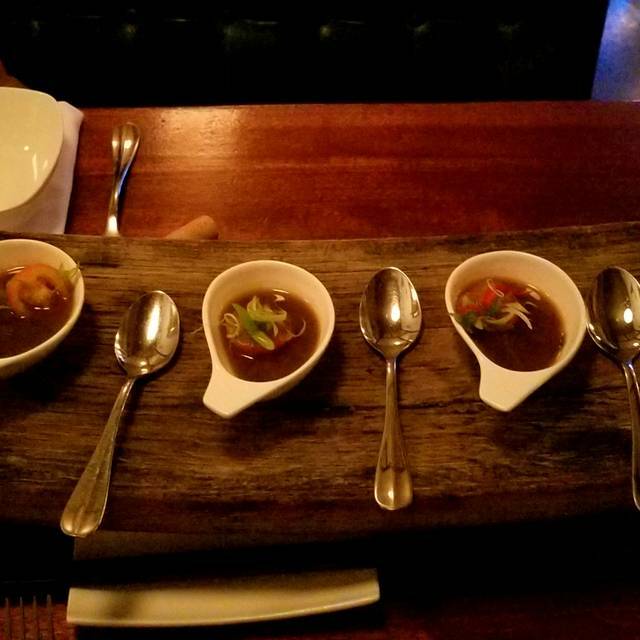 They were kind enough to comp the underwhelming dishes. The food and service at DaiLo is second to none! Our server was knowledgable and responsive - striking the right balance of being there when we needed her and not hovering. She was able to provide excellent advice on the menu and wine list. The food is always incredible. The food, atmosphere and ambience of the restaurant was incredible. Our server was lovely, however we waited for a very long time before receiving our bill at the end of the meal. I also would like to note that I included mention that we were celebrating a birthday in my original reservation, and there was no recognition of this at all. We had the Chef's menu, one of our group members is pescatarian, they accommodated the menu with ease. 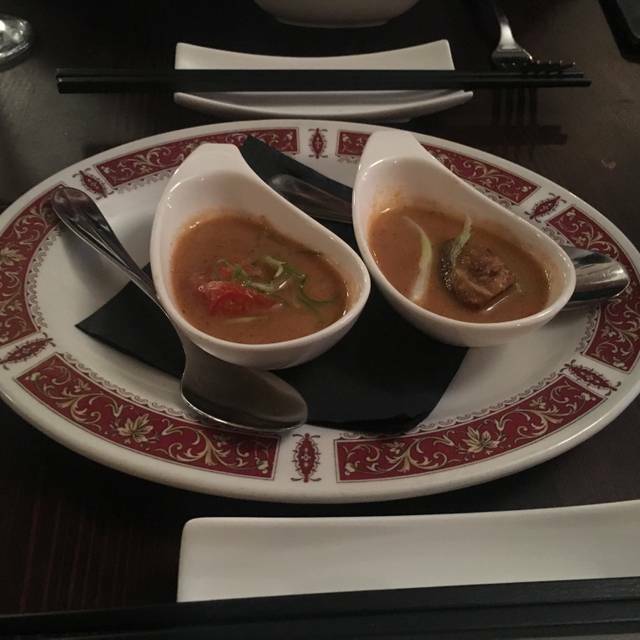 Food was fantastic, exceeded our expectations. Service was amazing. The cocktail special was delicious. We will return again. The food is just amazing! We keep coming back. Worth it all. Absolutely, Bar on..... one of the best experiences of my life in a restaurant and I've lived in Toronto for over 50 years. Absolutely EVERY staff member was exemplary knowledgeable and friendly. All the food was outstanding Fusion which is a must EXPERIENCE! so be sure to take the tasting menu for the 1st visit. I guarantee you we'll be back to visit regularly. Dialo has an affordable menu, excellent wine but not over the top, and great wine prices. NOW..... I could not finish this review without a rave review for Trevor the assistant manager which made our experience like we were rock stars. I suggest some restaurant owner would greatly benefit if they steal that guy Trevor! He is a Knowledgeable, Uber friendly and high energy force in this restaurant. I have never had a better dining experience with a restaurant manager in my life. Somebody franchise this concept STAT! Tasting menu was outstanding. We sat at the bar and were well taken care of by the bartender and a variety of servers/food runners. 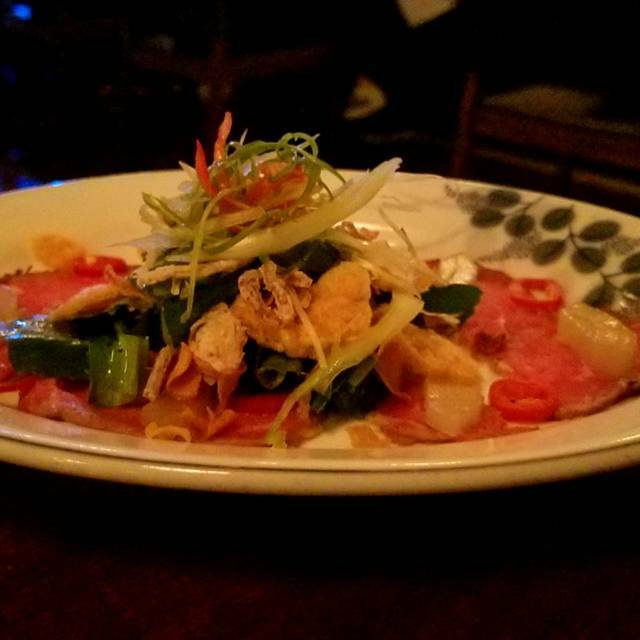 Staff knew the menu items well and the flavors were bold and highly enjoyable. At $65/pp the tasting menu was an excellent value. We left feeling full, but not excessively so. Bravo, Dailo! I will be back, it was a great experience in every way. Your team is hitting all the marks! First time visit, celebrating an anniversary. Went with chef’s tasting menu and it was outstanding! Great service as well. Very tasty. Great ambience. The pricing was a little steep for what it was. Would recommend for special occasion but not regular date night. Always so good! Get the tasting menu for something different every time, but make sure to get the pumpkin dumplings. Ordered tasting menu which did not disappoint. They accommodated 3 different preferences, from pescatarian to apple allergy without blinking. Service was lovely and pitched and timed perfectly. 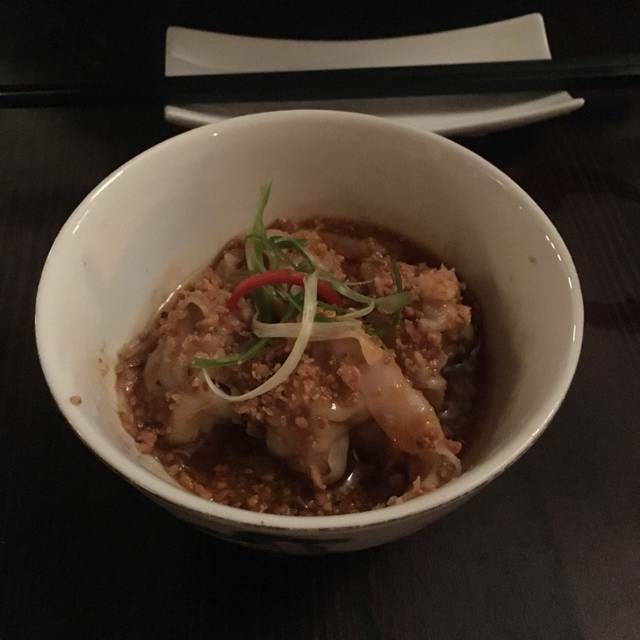 If I had to choose just one dish, I'd come back just for the dumplings with truffle and pork crumble. This was a great date night spot. Food was good. Service great. Atmosphere just right. The food is spectacular - original ideas executed perfectly. All of the waiters are engaging when you want them to be, and absent when you want them to be. All the dishes arrive at exactly the right time. Creative menu! We had the tasting menu and it seems like the menu is different for each table. 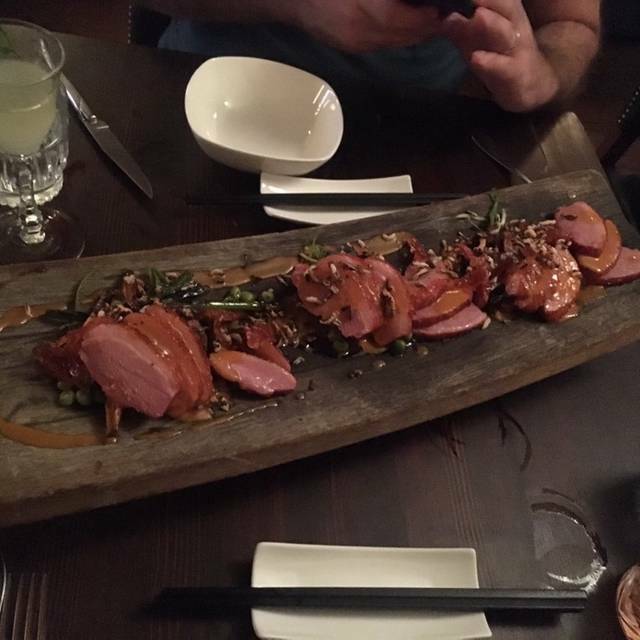 We were secretly hoping for the duck breast as the main dish (we saw from the table across) but ended up getting the ribs instead, which we didn’t mind. Will definitely visit again. First of all, our waiter was amazing and gave us great advice for things to do in Toronto! We did the tasting menu and all of the dishes were extremely well thought out and delicious. I would 100% recommend this to anyone coming to Toronto, but make sure to reserve well in advance because it’s very popular. Extremely loud environment. Interesting menu and tasty choices. A bit overpriced when portion sizes are considered. Excellent meal...great combinations of flavours and textures. One of the most knowledgeable and attentive staff I have had looking after me. We did the set menu and it was pretty good, but the quail dish was not great and seemed undercooked. A little overpriced in my opinion, but overall the food was quite good and a good experience. Our two mains the rice and cauliflower were cold. The starter we're good. Overall a good dining experience. Service was excellent, attentive and warm. We got the chef's tasting menu at $65/pp, for a group of 5. We were stuffed by the end of the meal. Some dishes were better than others. Highlights included the pumpkin dumpling, and fried trout. 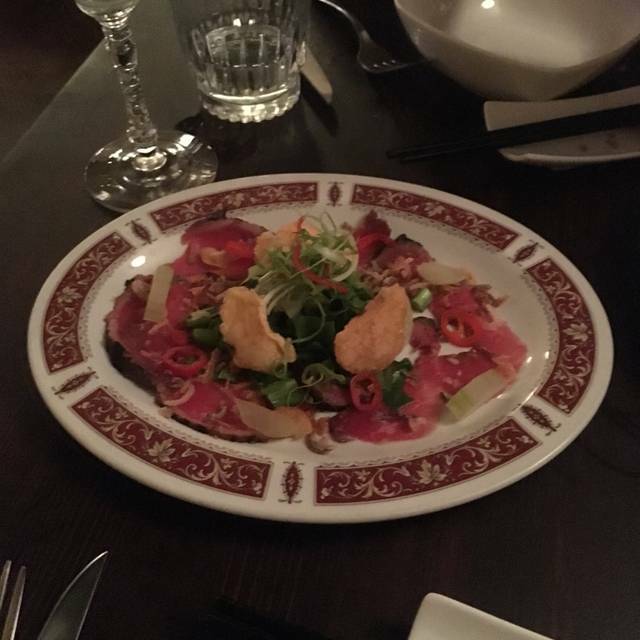 Being of Chinese descent, the flavours were familiar but presented with a fresh take. We really enjoyed our meal. We had the Chef's tasting menu which I would highly recommend. Our server was excellent and very knowledgeable about the food & wine. And they were able to accommodate our dietary restrictions. The food, the service, the ambience, every detail was amazing! Completely worth the prices, definitely go for the chefs menu! Great experience. Not a huge fan of the cabbage, service was excellent and very nice wine list. One of the beat meals I’ve had in ages..the combinations of flavors were amazing..definitely returning at my earliest convenience!! Food was good, nothing amazing. The fish had good presentation. Service was patchy but overall a good restaurant. Great food, wonderful service and got to meet a Top Chef Canada alum to boot. 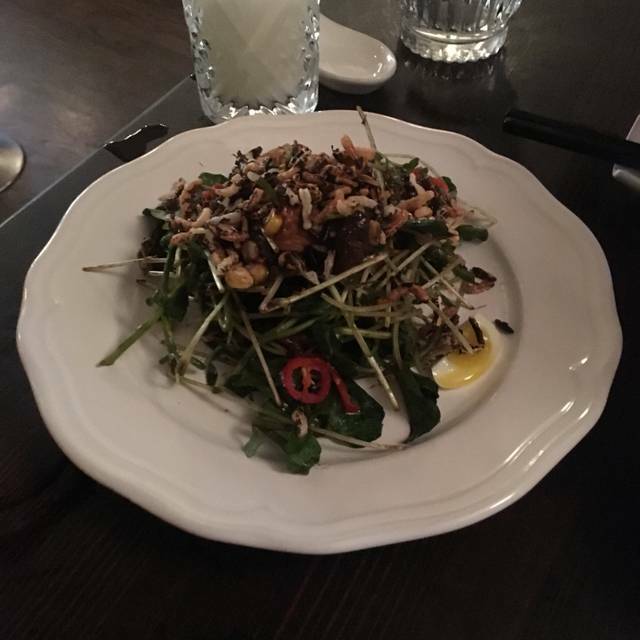 The food was tasty, creative and the servers were attentive but not intrusive. I would love to come back! Excellent experience for all the senses. Outstanding outstanding service! Music, vibe, ambience amazing and a perfect match. Food was just incredible in every aspect. Every detail of the experience seemed purposeful and nothing was over looked. Adding to the experience was the conversations of other patrons enjoying the same details but in their own way. Family and friendly feel consistent throughout the entire restaurant. Incredible balance of all dining elements executed beyond any expectation. 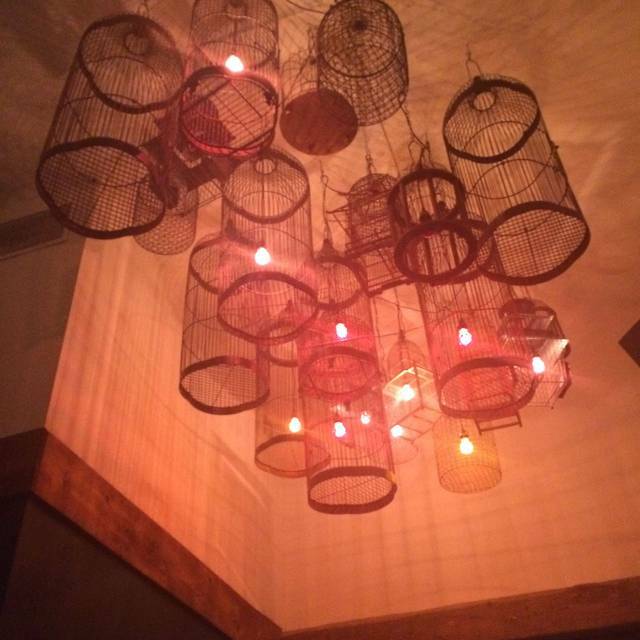 The food is delicious and the decor is very cool. The restaurant is hidden away so you don't really see it from the street. It's a nice private place to eat. We had the tasting menu. The food was terrific and there were about 8 different courses. The service is good, but does not match the quality of the food - we waited 15 minutes after being seated to order our first drinks. Our only reservation was that the food arrived too quickly - we would have loved for the courses to be more spaced out. Also, after the main dish of ribs, we had a pallet cleanser which was our dessert - it was a very abrupt end to our meal...at other tasting menus I've had in the city, you receive a dessert and then the final little taste. It was delicious and refreshing, it would have been nice if they had explained that that concluded our meal. We didn't want more food, we just wanted a heads up that it would be the last dish. All in all, it was a great experience. Food is terrific, drinks are fantastic, ambiance is terrific, service is good. Would definitely come back again and recommend it to others. The most superb gourmet Chinese/French food! Lovely to share with a group so one gets to taste several dishes. Wait staff, particularly Eden, very knowledgeable and friendly and provided excellent service. Look forward to returning and can recommend highly! Thanks to all! SO GOOD. Recommend going with the tasting menu, rarely say this but was actually TOO much food, was struggling to finish but well worth it. Disappointed. While the plates were beautiful to look at the flavours were underwhelming, and often boring or uninspiring. Some dishes came cold. space too noisy. The staff were friendly and knowledgeable, too bad food didn’t hold its own. At almost $500 for 4 expected more.